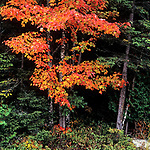 This gallery contains photographs from state parks in Maine. Most images can be licensed instantly for reproduction (24/7) and then an unwatermarked file can be downloaded. Prints can be purchased for personal use. Unlicensed uses are not permitted.